Hockey Night in Barrie 7 Roster Update. - Very Barrie Colts | A website covering the Barrie Colts of the OHL. Home Aaron Ekblad blog Hockey Night in Barrie Hockey Night in Barrie 7 Roster Update. Hockey Night in Barrie 7 Roster Update. 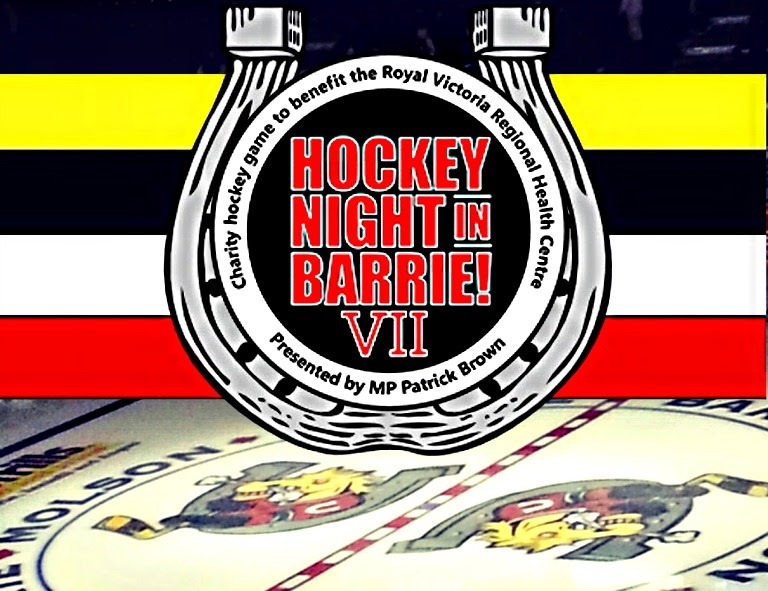 Hockey Night in Barrie 7 will take place (as always) at the Barrie Molson Centre on August 14th, 2014. Doors will be open at 5:30 and the pre game is set to start at 6:30. As always the event is in support of RVH here in Barrie. Here is the roster that was most recently updated yesterday when Partick Brown announced that Steven Stamkos would be participating in the event again this year! With weeks still until the event there will likely be additions to this list and we will keep you posted. It was about two weeks before last years event that Stamkos was added so there could still be big names added to this list! For more info on Hockey Night in Barrie 7 go to the main site here.